If you have an interest in space travel head over to the Calgary International SpacePort. They are located in the airport, and admission is free. They are an educational and entertainment facility focusing on space and aeronautics. There are hands-on exhibits and displays and they showcase the latest computer and communication technology. Stretch your legs and get some fresh air by heading to the Calgary Pathway System for a stroll. Calgary communities, parks and natural areas are connected by an extensive network of multi-use pathways available for all to enjoy. There are approximately 850 km of regional pathways and 95 km of trails. If you want to learn more about flight and aeronautics check out the Hangar Flight Museum. It showcases the history of aviation in Western Canada. It’s a constantly growing museum whose mission is to foster the understanding and appreciation of the evolution of flight through stories told about airplanes, helicopters, and the men and women who designed and flew them. The collection holds rare and historically significant military and civilian aircraft. 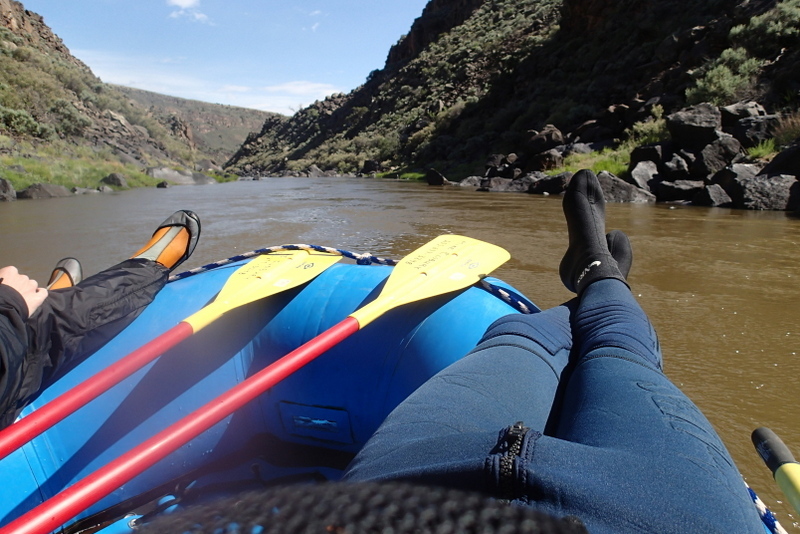 Take a lazy few hours and relax with Lazy Day Raft Rentals. Lazy Day Raft Rentals is a self guided tour down the Bow river in Calgary. They give you everything you need to float through parks and neighbourhoods on the lazy river. They are located opposite Princes Island Park, and you can choose from a 2 hour float to 4 hours. Bring a snack and sit back and enjoy. If you need something more active and want to blow off some steam check out Injanation, Calgary’s playground for kids and adults of all ages. Enjoy 55,000 square feet of high flying trampolines, ninja warrior courses, climbing, obstacles, and more. It is one of Calgary's largest trampoline parks with dodgeball courts, foam pits, and a high performance area. Test out our two ninja warrior courses and see if you've got what it takes to be on the next American Ninja Warrior. If you enjoy horses or bonding with an animal on a trail ride, head to the Trail Riders of the Canadian Rockies. The Trail Riders of the Canadian Rockies is an experienced non-profit registered society celebrating 95 years of taking people from all over the world into the backcountry of Canada's Rocky Mountains. Riding experience ranges from beginners to the experienced and they can accommodate everyone’s abilities. Test out your aim by visiting Calgary’s Archery Games. Archery Games is the very first indoor archery tag facility in Calgary Alberta. Teams of 3-10 battle it out in the indoor archery arena. This could be a fun way to spend time with your coworkers or meet new people.